Friday March 8th marks International Women’s Day 2019. In celebration we’ve compiled together a list of six children’s books that honor and empower strong women. 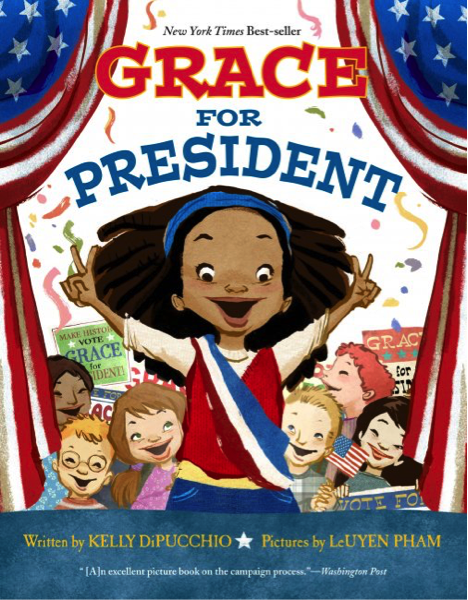 An introduction to the American electoral system, Grace for President tells the story of fourth grader Grace Campbell. Upon learning that America has never had a female president she decides to become the first, launching her political career by running in her school’s mock election. In She Persisted, Chelsea Clinton outlines 13 American women who have helped shape the country through hard work and persistence. Featured figures include Harriet Tubman, Helen Keller, and Oprah Winfrey. 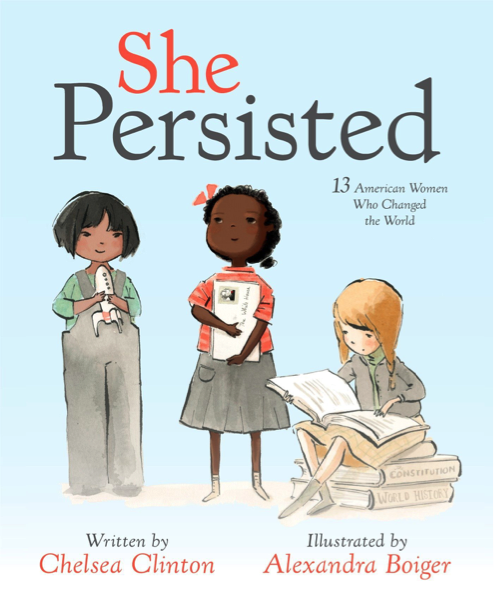 The success of She Persisted as a New York Times Bestseller spurred the creation of a second book: She Persisted Around the World. This companion book details the stories of 13 additional history-changing women from around the globe. As a child in Pakistan, Malala would often wish for a magic pencil, one that would help her create happiness, clean her city, and sleep an extra hour in the morning. 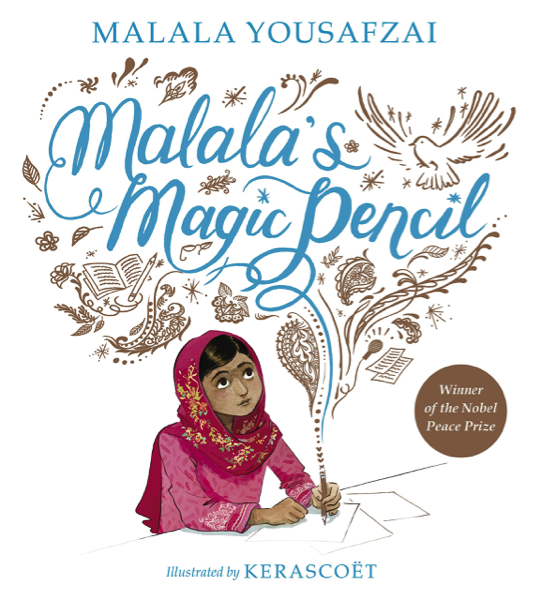 But as Malala grew up, she saw the ways a magic pencil could truly be used to make the world a better place. Nobel Peace Prize winner Malala Yousafzai details her story for a younger audience in her first picture book, Malala’s Magic Pencil. She hopes to inspire children to think globally, and through hard work and determination, change their world. 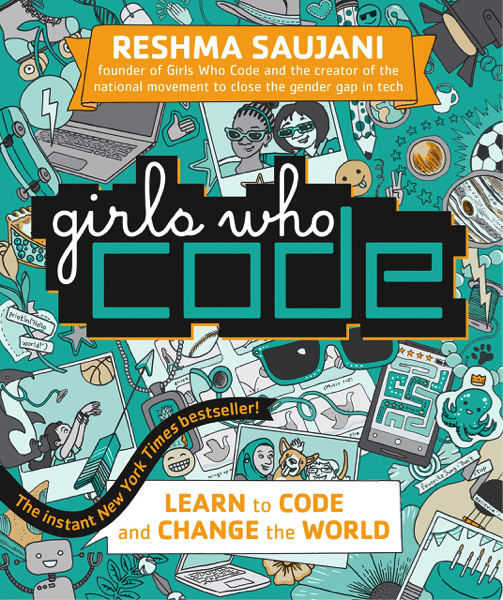 Written by the founder of the Girls Who Code organization, Reshma Saujani aims to inspire a new generation of female coders. This novel incorporates eye-catching artwork, understandable explanations of basic coding principles, and the inspiring real life stories of women working for corporations like NASA and Pixar. Girls Who Code aims to show women how coding can help them reach their dreams, whatever they may be. In I Dissent author Debbie Levy demonstrates the power of saying no and standing up for what you believe in. This biographical picture book details the life of Supreme Court Justice Ruth Bader Ginsburg. Ginsburg constantly says no, disagreeing when it matters the most. 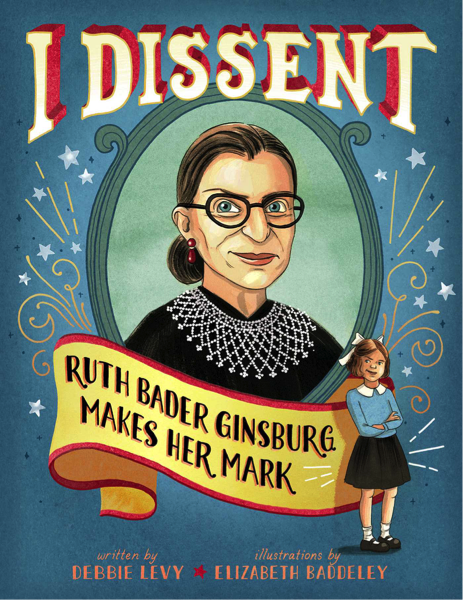 I Dissent outlines the stories of Ginsburg’s most famous dissents, and demonstrates to young readers “disagreeing doesn’t make you disagreeable”! 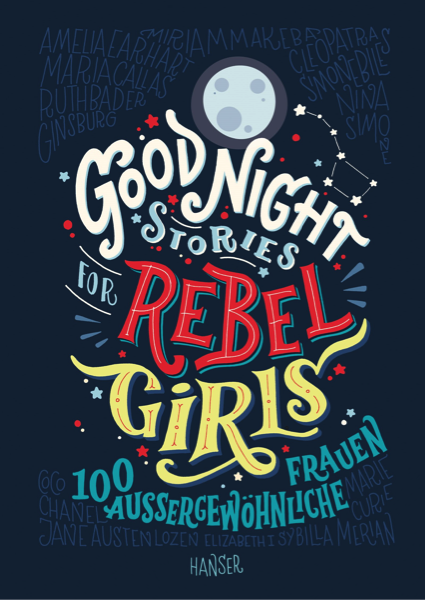 Good Night Stories for Rebel Girls tells the stories of 100 historical female figures, both past and present, in an accessible fairytale style. Each figure is given a one-page biography accompanied with an original work of art. 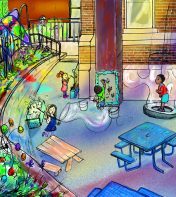 The book aims to inspire children across a range of fields including science, politics, history, sports, technology, and the arts. Featured women include Elizabeth I, Serena Williams and Ruth Bader Ginsburg. This art installation consisted of a five-foot cartoonish green duck who held in his hand an orange magician’s hat, out of which170 of these birds flew. Unfortunately, the majority of these birds were destroyed since being displayed in Portsmouth. But thankfully the surviving birds have found a new home here at the Children’s Museum of New Hampshire. Peter is a folk artist whose work is a narrative of the personal and universal conversation of what it is to be alive. He is strongly influenced by mythology – personal, world & religious. He makes art because it is one skill he feels has contributed to the vast experience and existence of Humanity. He is inspired by other artists and creators. He is honored to participate in this challenging avocation, and to be part of an often-invisible royal lineage whom make the world a deeply richer place. 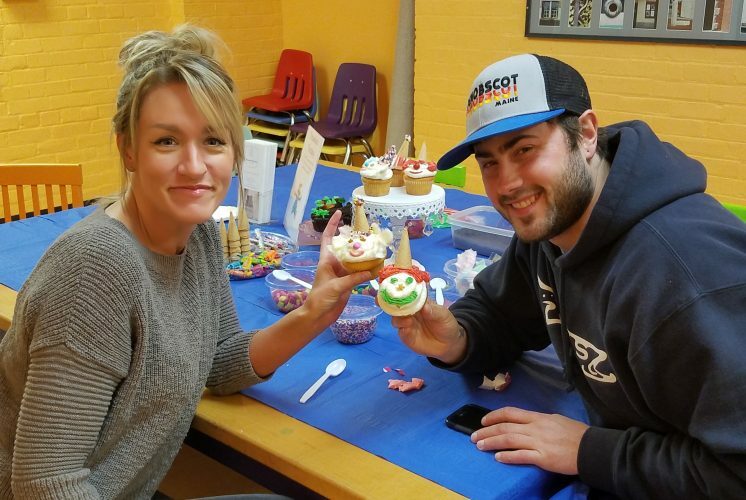 As 2018 draws to a close, all of us at the Children’s Museum of New Hampshire want to take a moment to thank you for choosing to spend your precious family time with us this year. Life is busy and childhood is fleeting, making the time to connect with loved ones and create joyful memories more important than ever. 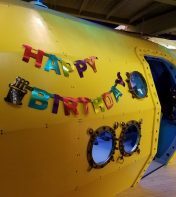 Your children may not remember this year’s holiday gifts a year from now, but they will remember piloting the Museum’s Yellow Submarine with you as co-pilot, making you a meal in the Kids Cafe, meeting their favorite book character, and simply laughing, learning and being together with you. 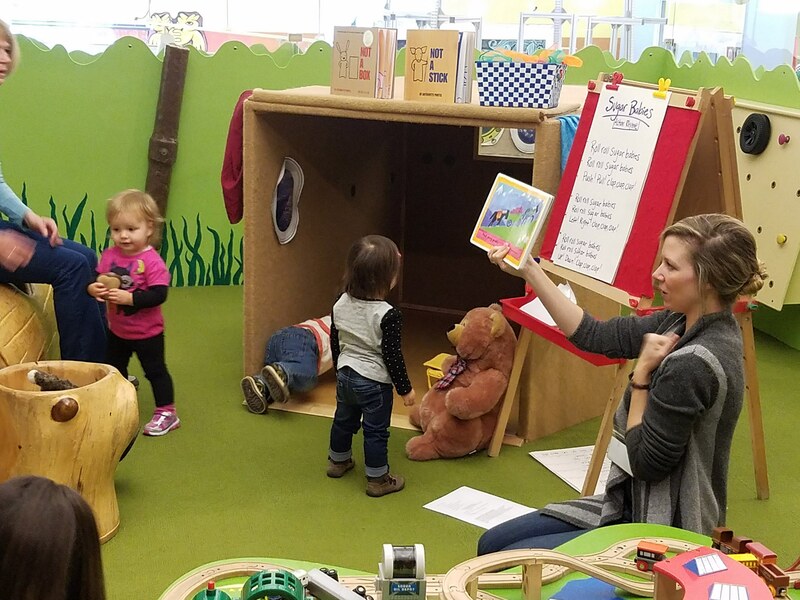 In 2019, we will continue to fulfill our mission of engaging families in hands-on discovery through new programs and exhibits such as a Family Book Club and Mini Golf at the Museum, the Lights! Shadow! Action! 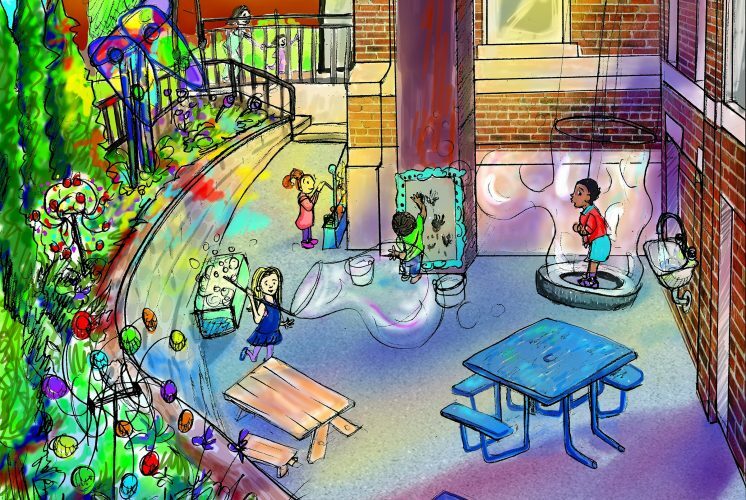 interactive classroom, and the outdoor Play Patio. As a non-profit Museum, all of these initiatives are only possible thanks to the generous support from foundations, businesses and individuals. Here’s to a new year of inspiring children and nurturing connections with family and friends! 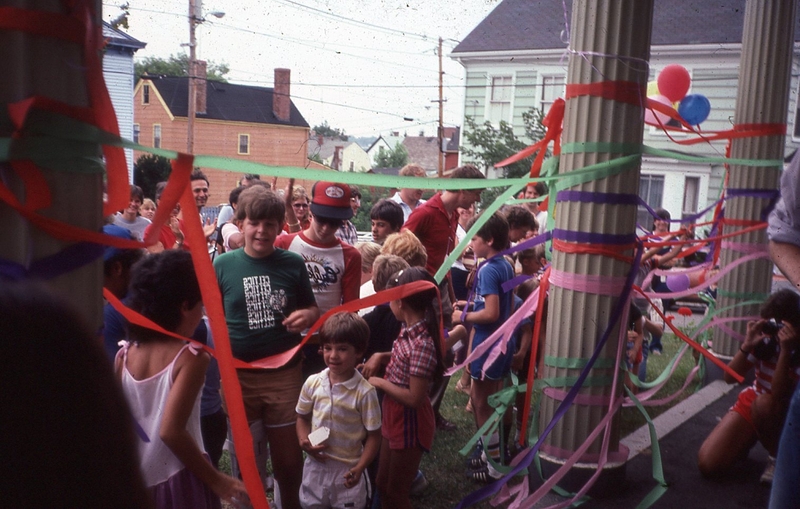 The Children’s Museum of New Hampshire is marking its 35th birthday in 2018-19 with a year of events celebrating the past and looking ahead to a future dedicated to creating experiences that engage and inspire the next generation of innovators and creative thinkers. 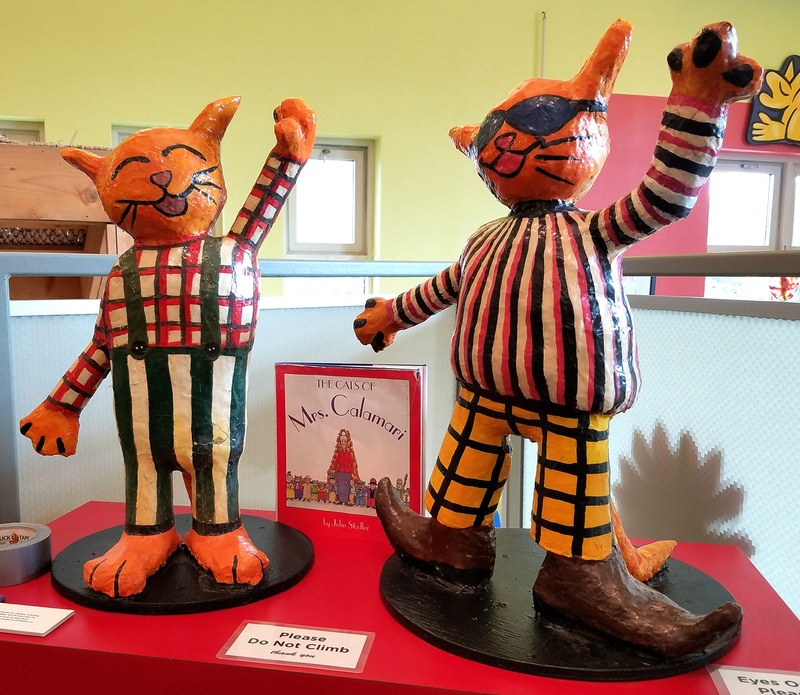 With exhibit overhauls and expansions, a Free Family Fun Day, Art Raffle and more, the museum is celebrating in style all year long. Rachel Janowitz, another 9 year old, was also quoted in the same article as saying “We will be able to experience a lot of things we couldn’t experience before, because the museum wasn’t here." That first year, the museum welcomed 27,000 visitors. The original exhibits included the Yellow Submarine, built by Architect Christopher Clews, three Commodore 64 computers, a hospital room with equipment provided by the Portsmouth Regional Hospital, a factory assembly line where children could create leather bookmarks, a video room, and a small radio station dubbed WFUN. 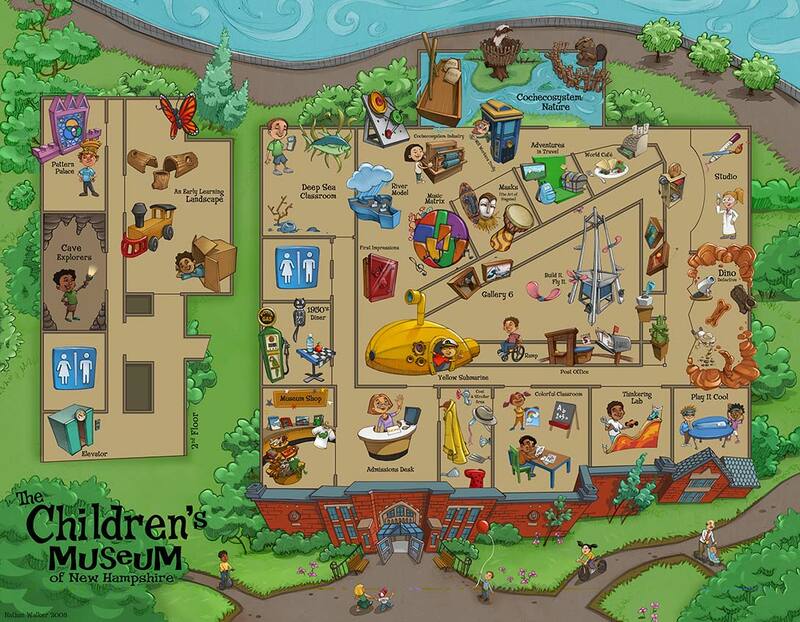 After a decade-long search in Portsmouth and subsequent meetings with city officials in Dover who recognized the benefit of locating the Museum in a soon-to-be-empty Butterfield Gym in downtown Dover, it was decided that the Children’s Museum of Portsmouth would move to Dover and become the Children’s Museum of New Hampshire. After raising funds to completely renovate the new location, and design and create new exhibits for a space four times the size of its former location through a $3.2 million Capitol Campaign, a grand reopening ribbon cutting ceremony, mirroring one that happened 25 years prior, happened on July 26, 2008. 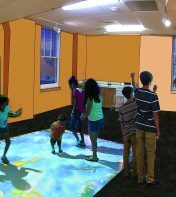 The former Butterfield Gym was converted into two floors of accessible, interactive, hands-on exhibits that not only reflected the exhibits that had become childhood favorites, but also expanded to embrace the new museum’s natural and historical environment as well. 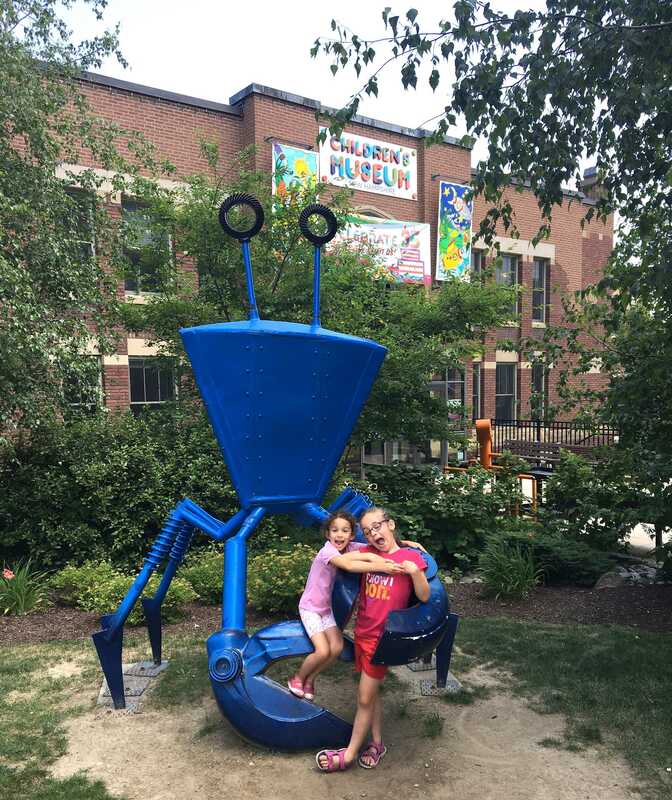 The Yellow Submarine, a favorite exhibit that became the unofficial symbol of the Children’s Museum of Portsmouth, still greets visitors as they enter the museum. 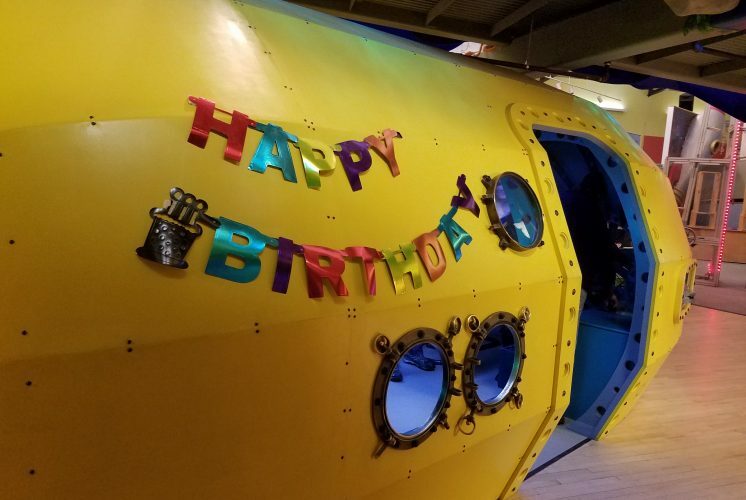 However, the Yellow Sub has been redesigned to mimic a research submarine with a sonar gun, a listening station, working periscope, and control room where kids can navigate the sub through the waters beneath the Gulf of Maine. A new favorite, the Cochecosystem exhibit overlooking the Cocheco River explores the interchange between the natural and industrial environment of the Cocheco River and specifically examines how “engineers,” both human and animal, use the river. 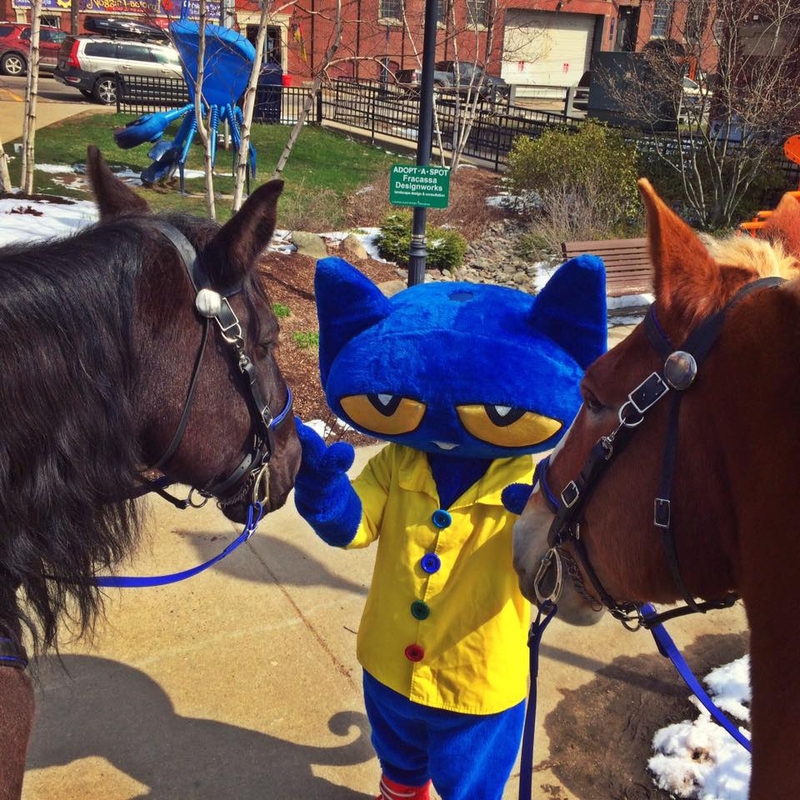 In 2017 alone, the Museum served nearly 93,000 visitors from 194 different New Hampshire cities and towns, all New England states and welcomed travelers from 42 states, two U.S. territories and eight countries. After 35 years of innovative programming, artistically designed exhibits, and engaging with literally millions of visitors, the Museum is looking ahead to what will come next. Some things will remain the same, like the museum’s commitment to early learning to build healthy brain architecture, S.T.E.A.M. 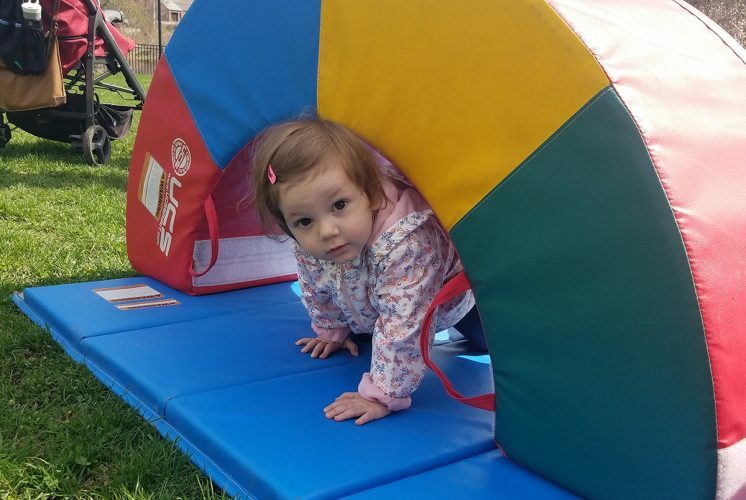 (Science, Technology, Engineering, Arts, and Math), access for all children and families, and its founding principle that kids thrive when given the space to explore and discover. New adventures are being crafted right now hidden away in the museum’s basement workshop. 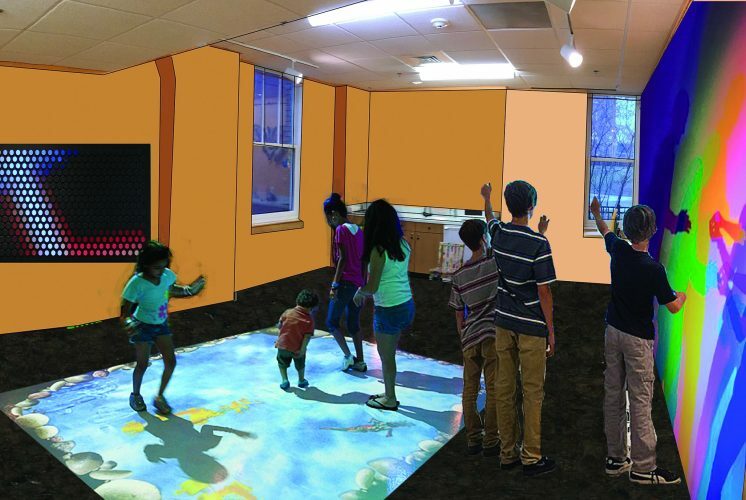 The One World exhibit, a group of three spaces that explore different cultures from around the world, will be updated this Fall to include a World Market complete with spices, clothing, masks and musical instruments from Indonesia, India, and Mexico - cultures represented in local New Hampshire communities. Children can “purchase” items in the market and bring them next door to prepare and serve food in the World Café or participate in a festival celebration. Over the next five years, the Museum will be investing in creating and updating its visitors’ experiences through the Play Expansion Project. 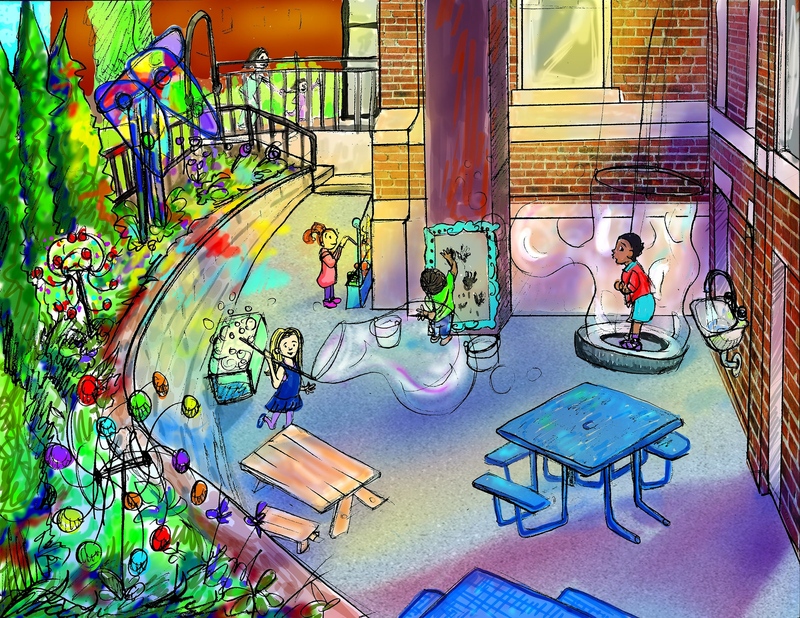 In the next year alone, the Museum will be developing an outdoor Play Patio that will provide a space for messy play with bubbles, water, paint as well as sensory exploration and a picnic area. 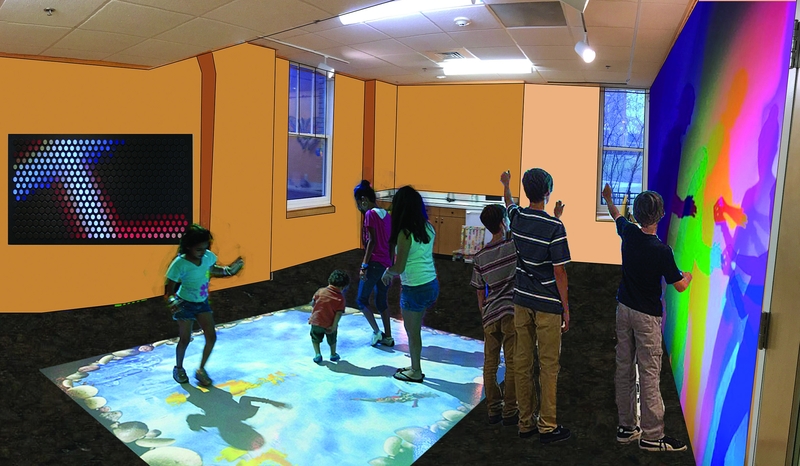 The Museum will also be updating an existing classroom into a new Interactive Classroom that can easily convert to an exhibit space with a flick of the switch featuring interactive light, color and shadow activities when the room is not needed for school programs. 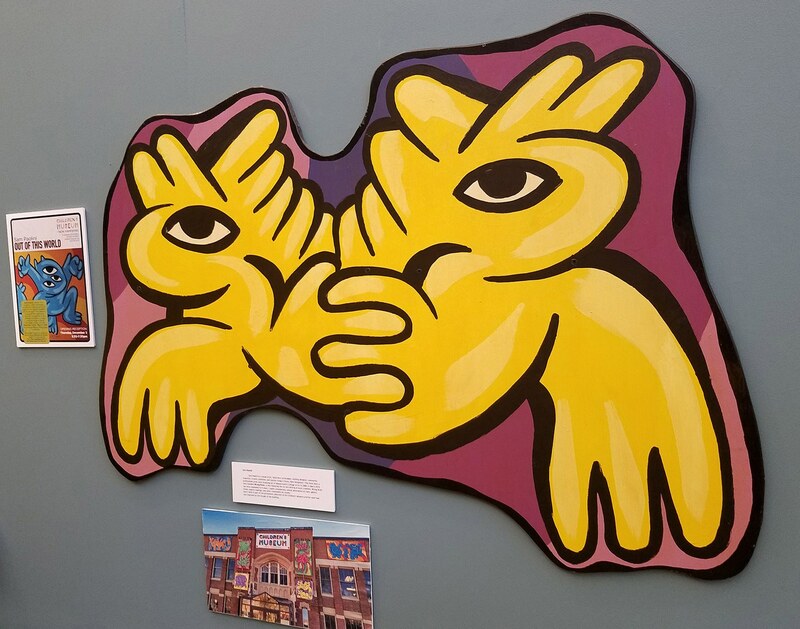 Both projects were made possible thanks in part to the $100,000 tax credits the museum recently received from the NH Community Development Finance Authority and grants from the Abbie F. Moseley Charitable Trust and the McIninch Foundation. The art on view this summer ranges from a collage by Sarah Haskell who presented art workshops in both Portsmouth and Dover, to an abstract watercolor by Rebecca LeCain who is not only a CMNH Experience Guide, but also helps with creating the exhibits, including the mural currently hanging on the façade of the museum. 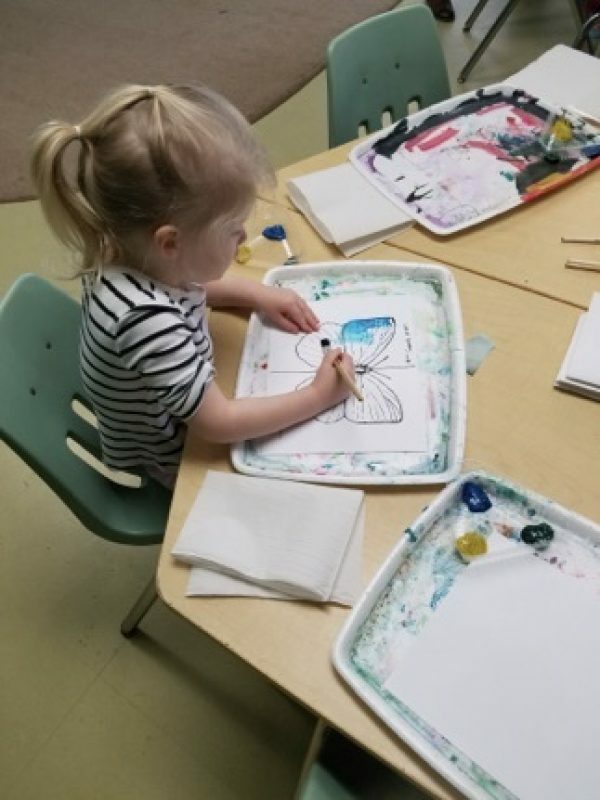 Subject matters include dinosaurs, colorful butterflies, robots, landscapes, and of course, kids. 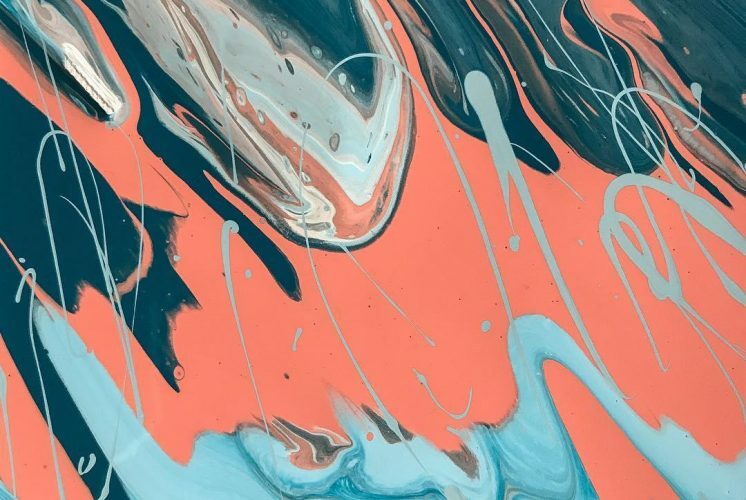 Most of the art in this exhibition is part of a summer-long raffle. A sheet of 20 raffle tickets can be purchased at the front desk of the museum for only $5. Participants can then choose their favorites and take a chance to win them. The winning tickets will be pulled on Sunday, September 30th at 2pm. 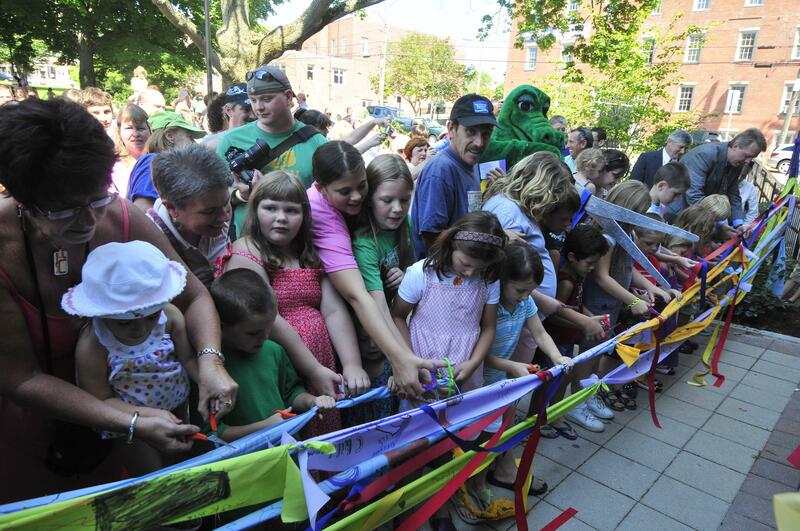 Also happening in September 22nd is the first ever Free Family Fun Day at the Children’s Museum, featuring a Dover Ducky Derby. 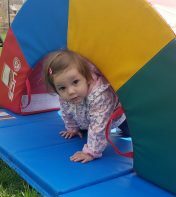 The museum will throw open its doors and invite everyone to play for free all day from 10am-5pm. Visitors can participate in a variety of favorite activities from the last 35 years and enjoy performances and special guests. 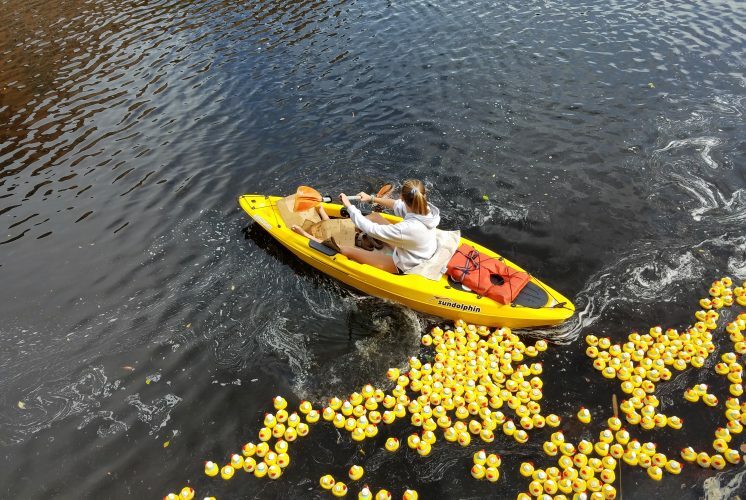 The Dover Ducky Derby will start at 1pm when a huge flock of adopted yellow rubber ducks will be launched from the Washington Street Bridge and race down the Cochecho River, which flows behind the museum. The first five ducks to cross the finish line will score prizes. 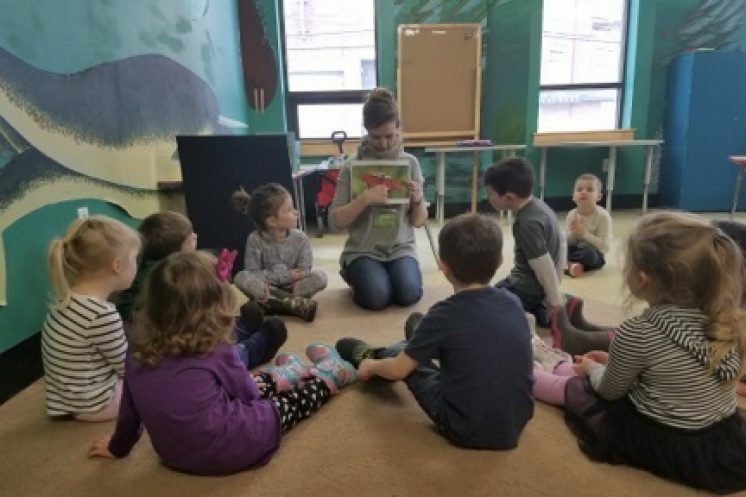 Ducks can be adopted all summer long at the Children’s Museum of New Hampshire or online: $5 for one duck, $50 for a gaggle of 12 ducks, or $100 for a flock of 50 ducks. 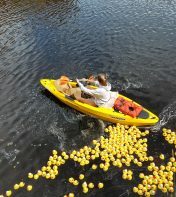 The Dover Ducky Derby is a joint fundraiser in collaboration with SEED (Seacoast Educational Endowment of Dover). 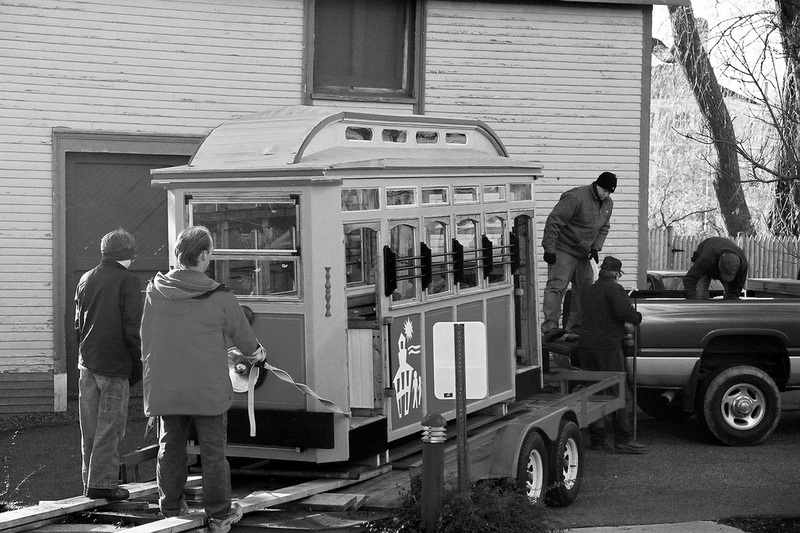 A lot has changed in 35 years. Commodore 64 computers are obsolete. Pluto isn’t a planet anymore. They changed math. And Children’s Museums are universally understood with over 400 children’s museums in the country compared to about 80 thirty-five years ago. “I don’t have to explain what a Children’s Museum is when people ask me where I work,” said Neva Cole, CMNH Communications Director. 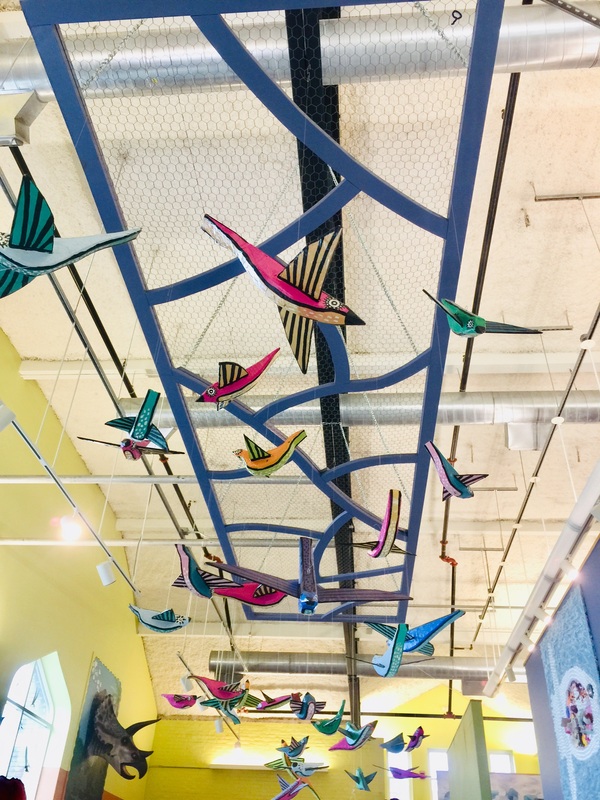 “Back in 1983 it was a challenge to convey the concept of this very different type of museum, and convince people that it would be a viable, meaningful resource for area families, schools and the community,” said Denise Doleac, CMNH co-founder. 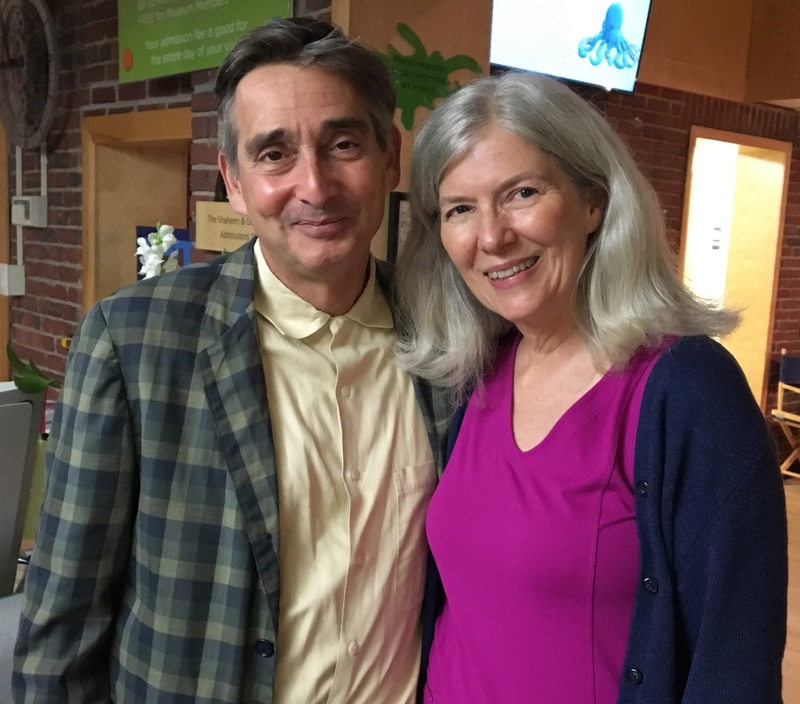 “Thanks to Denise and Ona, and all the board members, volunteers, staff, artists, performers, businesses, foundations, individual supporters, and community organizations, we will be able to continue our mission of actively engaging families in hands-on discovery for many more years to come,” shared Jane Bard. 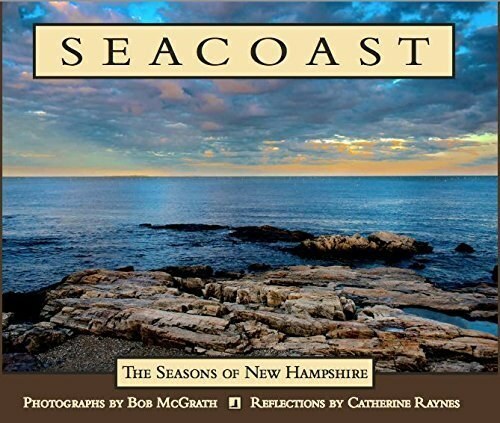 Using “Seacoast: The Seasons of New Hampshire” Photographs by Bob McGrath - with children! November is Family Literacy Month here at the Children's Museum of New Hampshire and we were very fortunate to get a large donation of a stunning photography book this fall, given to us by local artist (and the book’s author!) Bob McGrath. 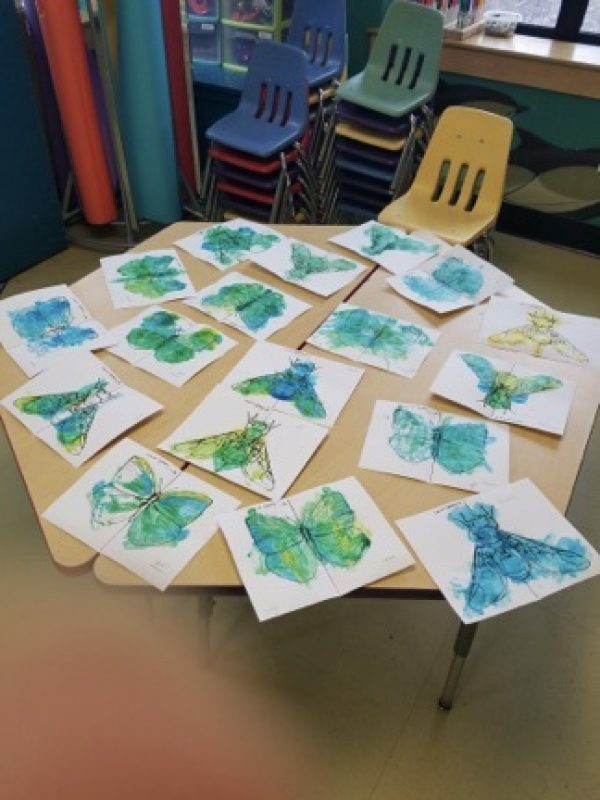 His beautiful book “Seacoast: The Seasons of New Hampshire” is a fabulous tool to use for facilitating conversations while reading with children. 1. This book focuses on the seasons of the year. As you flip through each season--chat about them! Which season is your favorite? Why? What is your favorite thing to do outside in (Autumn/Winter/Spring/Summer)? Which one of these places would you like to visit? Why? 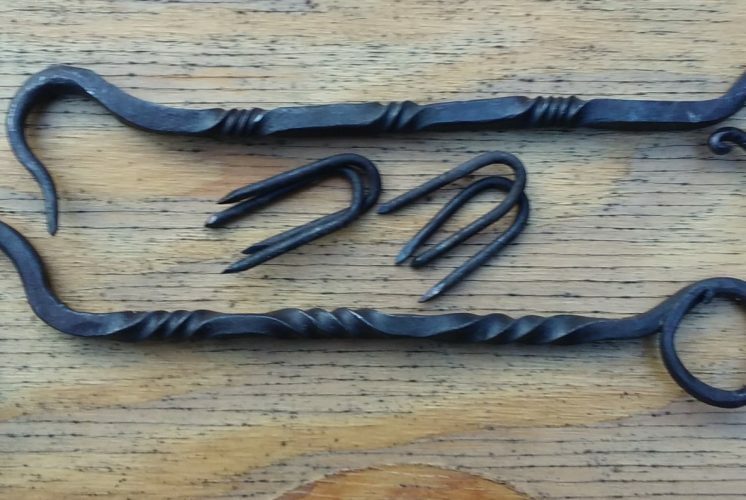 What items in these photographs are familiar to you? Are there any items that are new and unknown to you? Let’s chat about them! 2. Find picture books at your local library that match each of the seasons shown in this book. Look for scenes that are similar in the picture book and the photo book. Pick a favorite photo in the book and paint/draw/color your own masterpiece inspired by the scenery or item in the photo. When you have finished, chat about how the images are alike or different. 4. Plan a road trip! Find a spot in the book that is close to where you live--or a little further away! Go on a road trip and find the scene in the photo shown. Take your own photos of the special spot! More than anything else, simply looking through the book (or any other book! 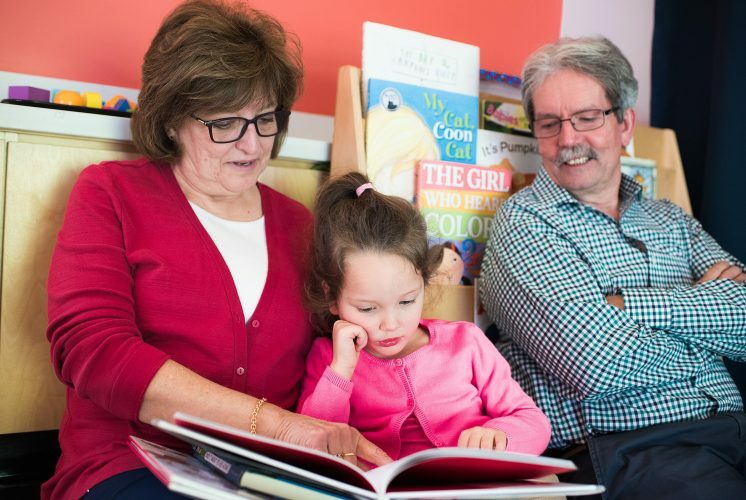 ), chatting and spending time together reading as a family is the most beneficial thing you can do during Family Literacy Month and throughout the year. 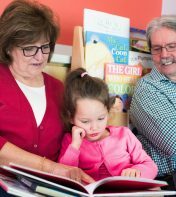 Have a wonderful Family Literacy Month this November and enjoy this gorgeous photo book by Bob McGrath. We are so thankful for his generous donation and know it will become a beloved keepsake full of happy memories for museum families. 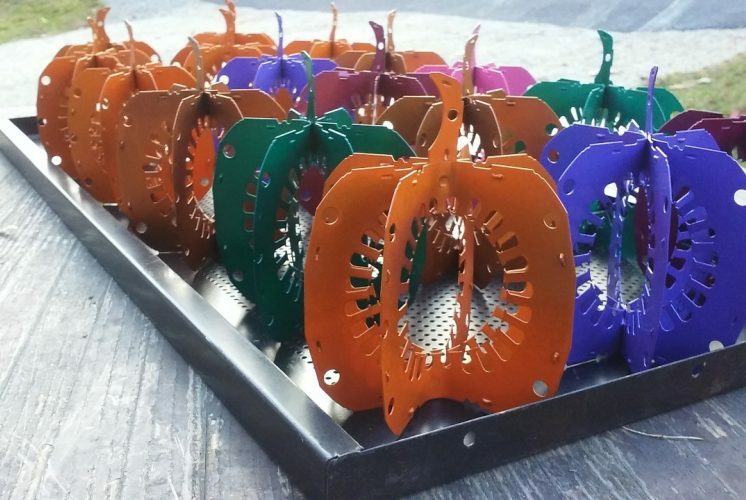 What Can I Buy at Maker Fest? 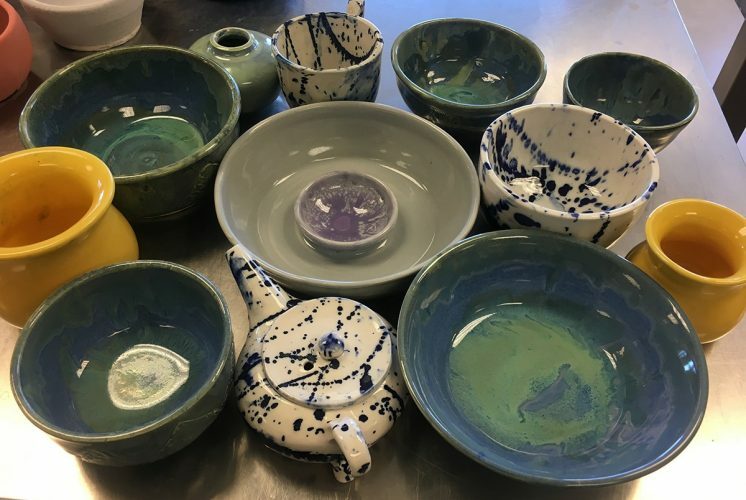 While it's true that the 6th annual NH Maker & Food Fest is all about sharing knowledge and skills and getting inspiration, it's also a chance to support local makers by purchasing their creations! On Saturday, August 25th from 10am-4pm, stop by downtown Dover for inspired shopping! Mark your calendars, get your tickets early, or at the door, and bring your holiday gift list! 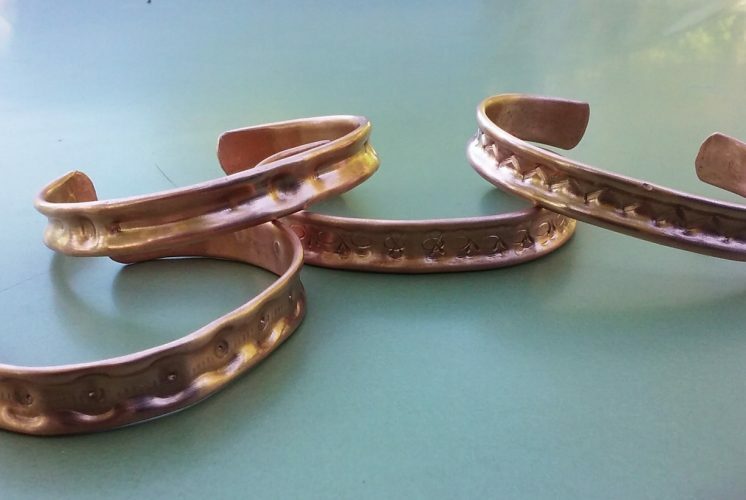 Looking for a one-of-a-kind gift? Andre’s Anvil might have what you are looking for! 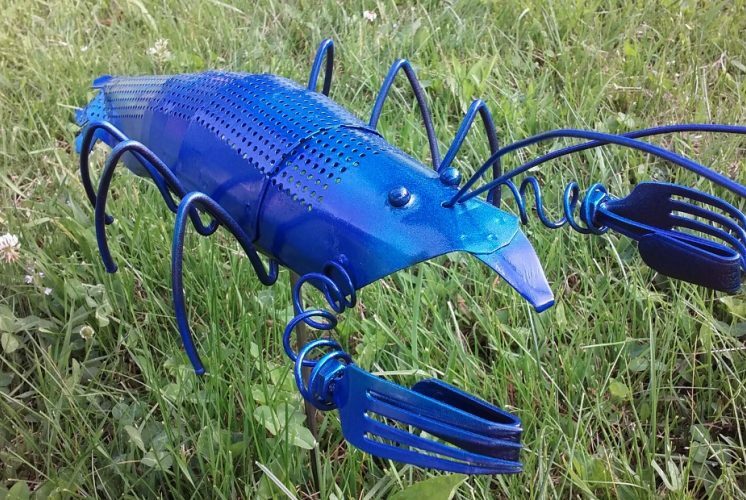 These makers use a mix of discarded metal, silverware and other materials to create unique items for the home and garden. Browse their booth and you might find nature-inspired items like ladyslippers, long-stemmed flowers, dragonflies and more. 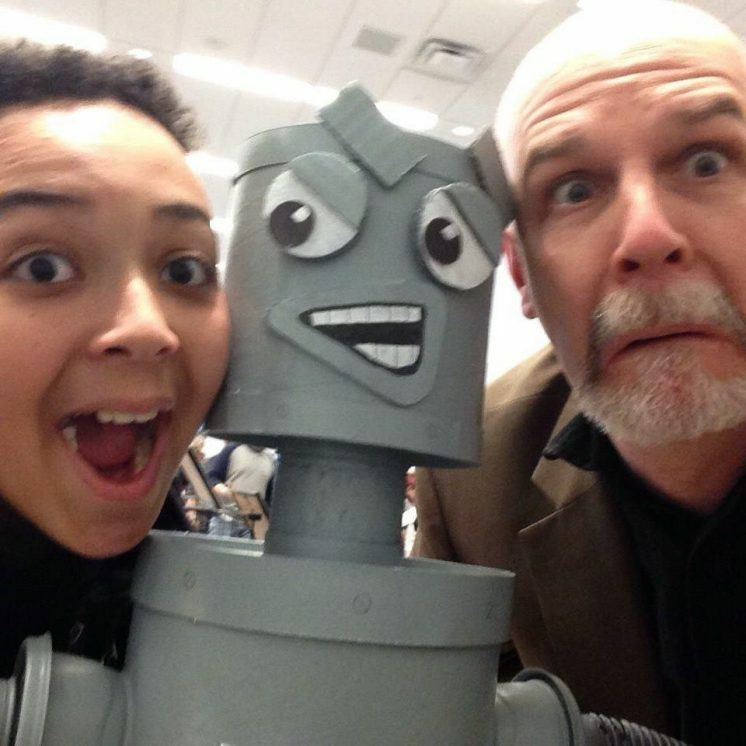 Painter, Michael Mongue, and his sons Diego & Garcia have embarked on a whimsical homespun comic book journey crafting the misadventures of anthropomorphic robot named Dennis. The story and renderings marry the fantasy riddled musings of two boys and the satirical commentaries on pop culture and commercialism of their outsider artist father. 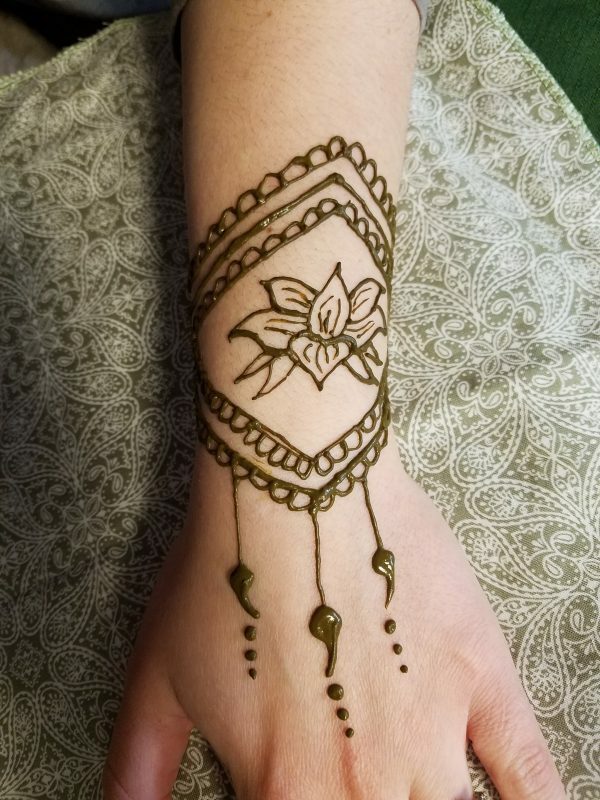 Denice Kelly from Squirrel Cat Designs is back and offering all natural henna for $5 and up. Come learn about how henna is used in different cultures, shop henna-inspired items, or let the kids pick out a temporary glitter tattoo. 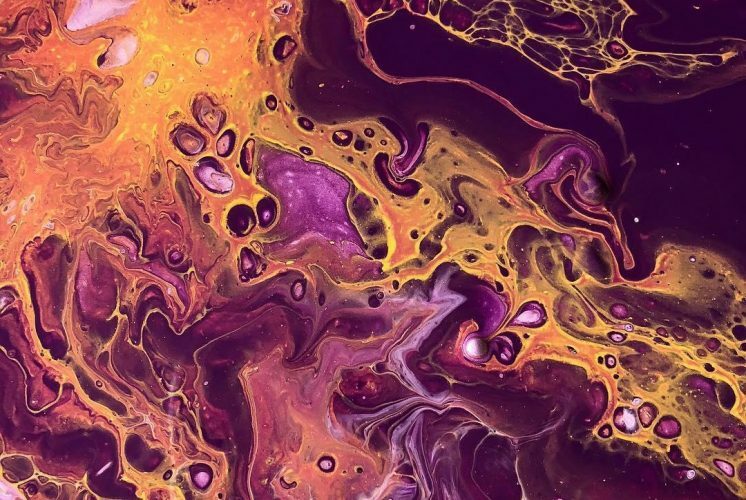 Nicole is a young art educator from Franconia, NH who will be showing off her fluid and beautiful conceptual art. Her art is created using house/acrylic paint on canvas, wood, boxes, magnets and a variety of found objects. Stop by Nicole’s booth to get inspired and maybe purchase a painting to bring home. 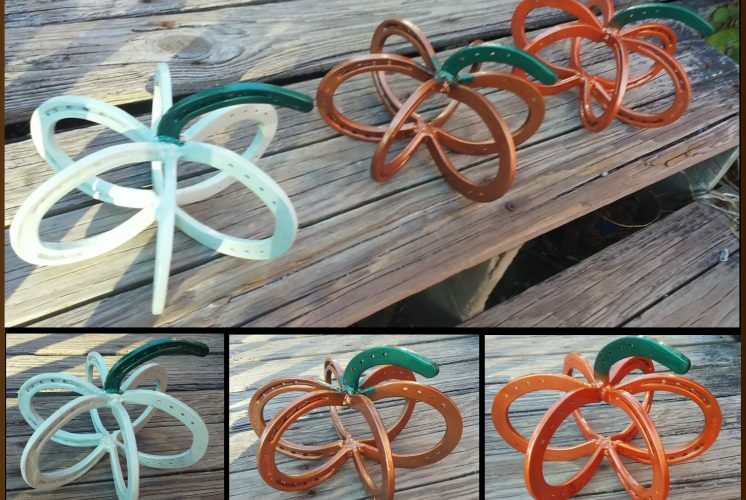 Peggy is back promoting the art of basket weaving and selling her baskets made from colorful ribbons that are woven in three directions with each ribbon at a 60 degree angle. 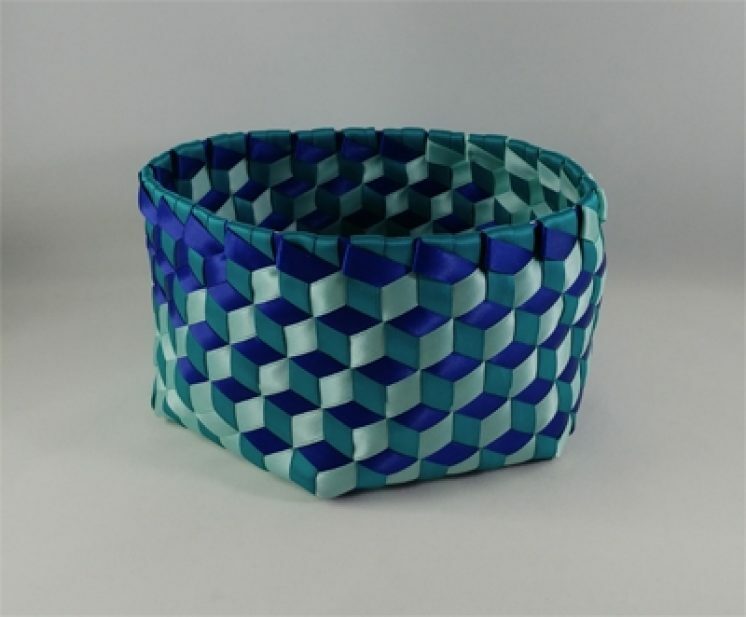 This produces a basket with vibrant colors that often have the 3D “Tumbling Blocks” pattern on the side of the basket. Stop by her tables and try weaving a pine needle basket and learn about available classes at the Northeast Basketmakers Guild. 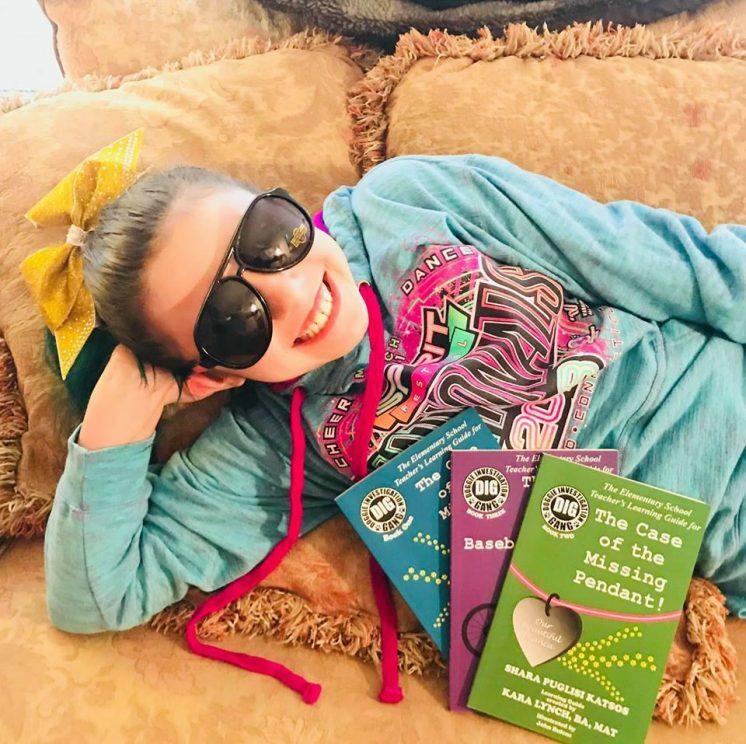 The Doggie Investigation Gang, DIG, is a children’s beginner chapter book series that promotes acceptance and teamwork while engaging the child in mysteries that a canine team solves. 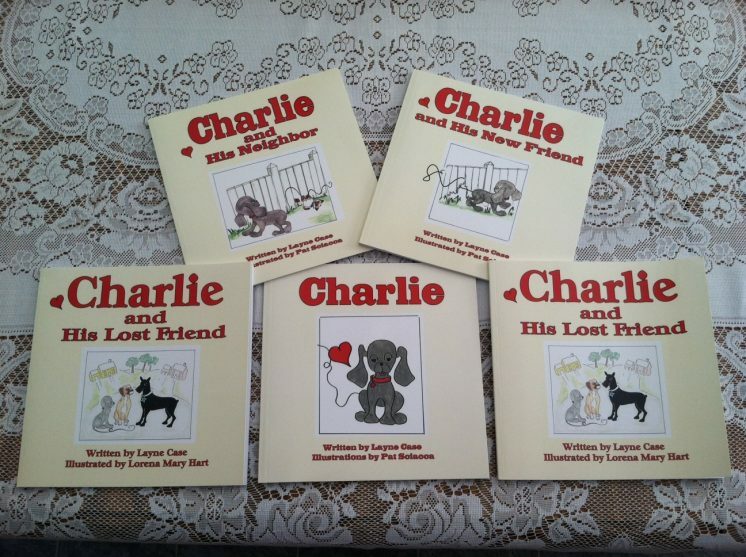 All proceeds from sales are donated to PAWS New England, All Breed Dog Rescue. 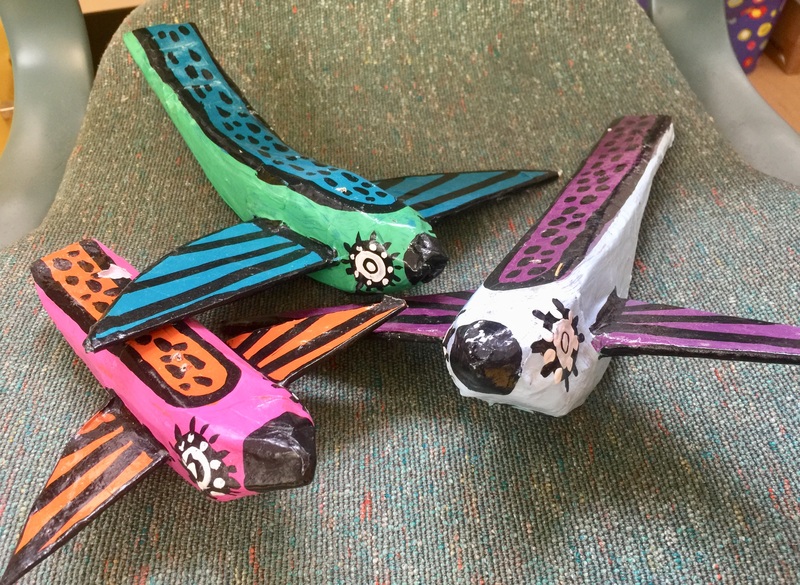 Young maker Audrey Ammann is back for the third year in a row with more of her fantastic face paint designs (available for a small fee). 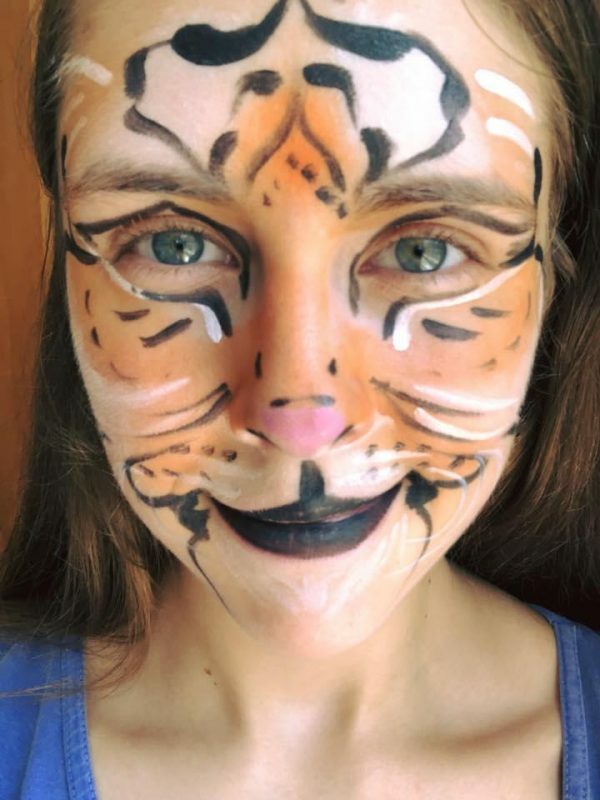 Her original face paint designs use hypoallergenic and FDA-certified paints and can incorporate glitter, stencil work, and even rhinestones! Geekasaurus is a weekly webcomic that highlights the adventures and antics of Kali Moulton’s nerdtastic family. 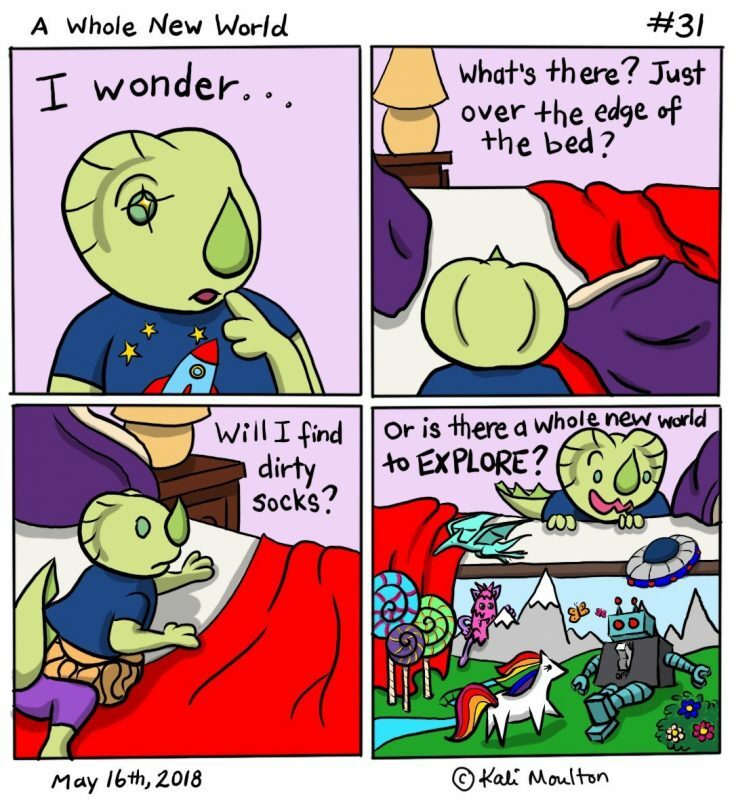 Featured on GeekMom, this weekly comic is fun for all ages and highlights the ups and downs of life and parenting, one dinosaur comic at a time. This local home food delivery service will be talking about and signing people up to receive their services and products and also giving away sirloin steak samples that they cook right in front of you. 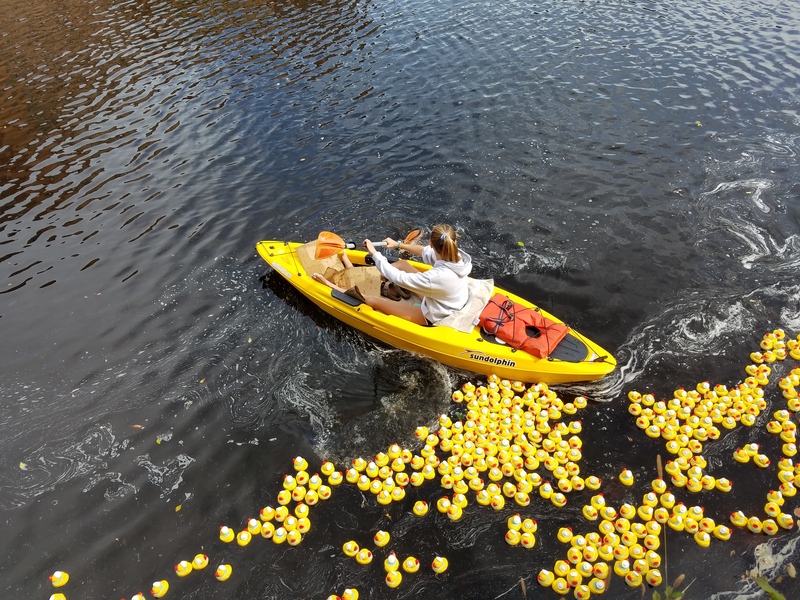 Stop by to learn about this local non-profit, and adopt a yellow rubber duck to participate in the September 22nd Dover Ducky Derby! Kealey s a young maker who has been crafting wheel spun pottery for the last three years and will have some unique items for sale. 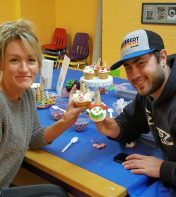 Stop by and play with clay as you learn to make a mini pinch pot out of air drying clay to take home. Usborne Books and More is an award-winning children’s book publisher with unique and interactive books and activities for all ages - from infant, to young adult. 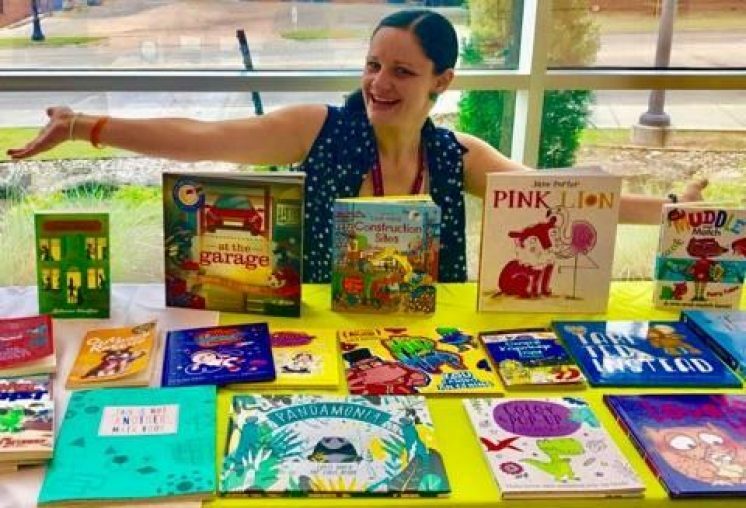 Join in a book-based activity and browse the books for sale. 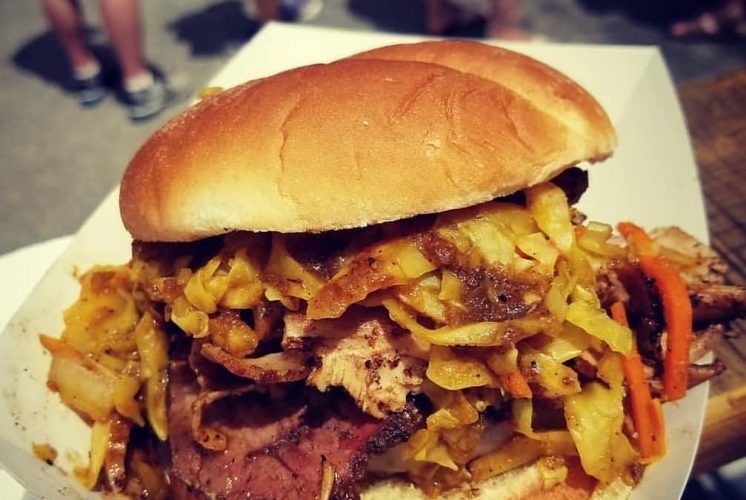 The 6th annual NH Maker & Food Fest is fast approaching and our mouths are watering just looking at all the different food vendors we have lined up to join us on Saturday, August 25th from 10am-4pm! Not only is this day long festival (formerly the Dover Mini Maker Faire) a giant showcase of local maker talent, but also a great chance to try local food and sweet treats by our awesome food vendors! Mark your calendars, get your tickets early, or at the door, and bring your appetite! 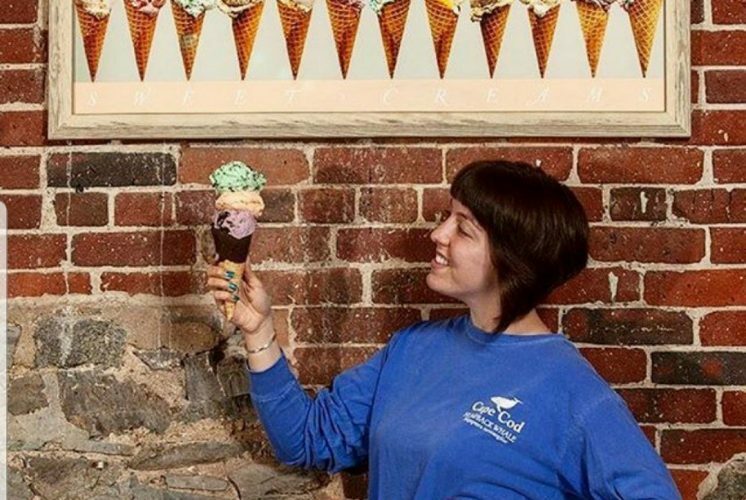 Bloom’n Cow Ice Cream and Gelato – Ice cream with tons of flavors and toppings. Non-dairy Sorbetto offered as well. Accepts cash or credit. Boogalows Island BBQ - In the mood for some Jamaican food? How does Jerk Dinner, Jerk-a-Rito, Mango BBQ Chicken Skewers, Pork on a Bun, or a Jamaican Beef Patty sound? Stop by Boogalows Island BBQ Food Truck for tons of mouth watering BBQ from the island of Jamaica! Accepts cash or credit. 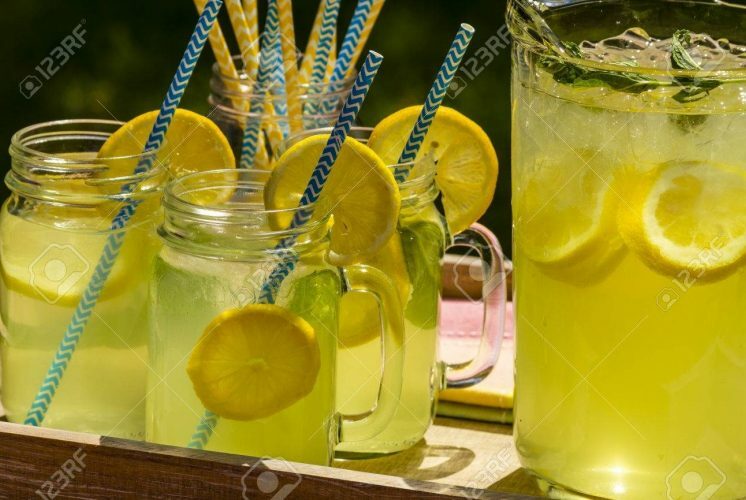 Brother’s Concessions - Fresh squeezed lemonade. Accepts cash only. 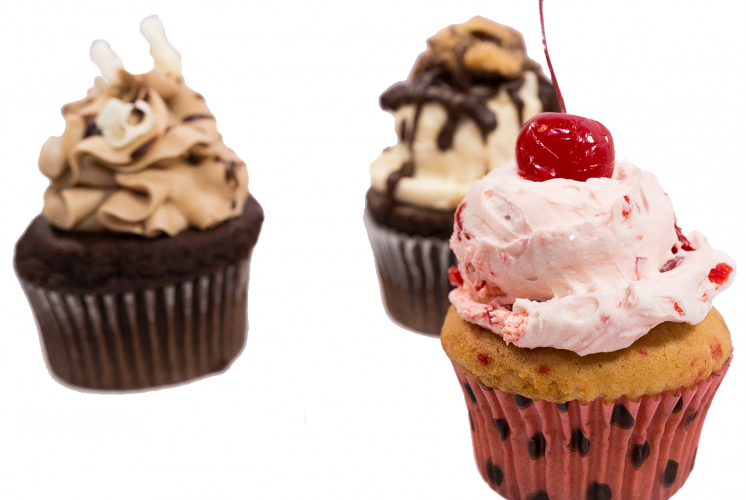 Clyde’s Cupcakes - Offering cupcakes, cookies and ice cream sandwiches. Accepts cash or credit. Curb Appeal Meals - Speciality sandwiches and American comfort food. Accepts cash or credit and they will have kid's menu options. The Fuse Box Kitchen - Offering new American food and Spanish/Mexican favorites. Accepts cash or credit and they will have kid's menu items like hot dogs, hamburgers, grille cheese, fries and chicken tenders. Kona Ice – Flavored shaved ice. Accepts cash or credit. New England Biscuit Company - Traditional Scottish shortbread in a variety of flavors. Accepts cash or credit. The People’s Popcorn – Tons of different flavored kettle popped corn. Accepts cash, credit or checks. Sub Zero Nitrogen Ice Cream - ice cream made on the spot with liquid nitrogen. Accepts cash only.